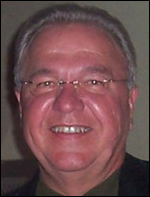 George Huntzinger is CEO and partner of The Huntzinger Management Group. You’ve been in the business a long time. Tell me what lessons you’ve learned that newcomers would benefit from hearing. The consulting business is really an interesting business. I’ve been in it since … I’m going to say 1984. Actually, it was probably before that because we did consulting at one of the software companies I ran prior to that. But it’s not an easy thing to do. A lot of people go out and try and start consulting companies from scratch. They do it with minimal experience and they find out right away that there’s a real science to doing this. I think it takes people with some good experience who have had the opportunity to work for large organizations and have been successful at what they’ve been doing before. Who have had a good track record and mentors and people that have coached them along through the whole process. Who have experienced all the various things that you can conceivably experience in virtually growing and building a consulting business that is servicing whatever market or markets they choose to serve. I guess the key thing is experience. It’s having been there, done that, and having enough experience to know that when you’re going at something, you know when to stop investing when you hit something that isn’t worth investing in, and knowing where to accelerate investing when it makes sense to crank up the burner a little bit from a financial perspective. To go at something hard and go at it hard in the right markets, and usually come out on top of that — if you read it right. People start up their own small consulting outfits because they need a job or just wanted to work for themselves. How many of those succeed? What does it take to make a real firm out of it and not just a few people selling time? What I think is really interesting is the world’s kind of a funny place and there’s space in it for everyone, so to speak. We have employees today that only want to be employees and never want to do anything. They’re very good consultants. They enjoy doing what they do and they never want to aspire beyond being the best consultant that they can be and they always want to be employees. Then there’s other folks that we bring into solutions that we’re providing to our clients and they come in as subcontractors, so they single-shingle it. There’s some people that single-shingle it, but don’t want to be anything more than just that. I guess they want the freedom of being an independent. They want to be able to move around, and they want to be able to operate solely as a business as a sole-proprietor. You’ll find a tremendous amount of consultants out there that fall into that category. They’re not really interested in doing much beyond that other than taking on an engagement or two that might require one or two of their buddies to come into it that they know, to help them to fulfill something they can’t fulfill by themselves. I can name twenty people in that category today that just, are satisfied doing that. What would be the advantages or disadvantages of a really small, maybe even a one-person shop, versus a real ongoing concern? I think a lot of it has to do with freedom. As an employee, you’re wrapped up in all the controls that are put on you as an employee. So you’ve got your vacation limitation, you have your personal day limitation, you’ve got whatever benefits that people are putting in front of you — they’re the benefits you get. It’s the package that you’re buying. You’re also buying security when you’re part of that, so that’s a really nice plan for people who also need people to be around them to prosper and grow. They’re not as independent in their thinking, whereas when you walk on the — I’ll call it the subcontractor or independent consultant — side of the fence, where they’re a small business unto themselves, they have basically ultimate freedom. They can buy whatever benefit package they want to buy. They can spend as much or little on it as they want. They can take as much vacation as they want to take. They can work on a project, then take a month off if they want to. There are freedoms there that you have, but yet still get to work on projects with people and do things and interact and interplay with various resources. You know, fulfill that side of the needs in your life. Should a customer care about if somebody makes a pitch and says, “Hey, it’s just me and I’m hands-on and you get me and not somebody else. I’m cheaper by the hour”? It all depends on what the customer is buying. It’s a good question. Our business, we’re not a staff augmentation company, so that’s not where our head is today. I’ll just speak by way of example. We’re an advisory and management services company, where we assume full accountability and responsibility for either running a given function or running a given project or function. We’re taking on that role. Whenever you take on that role, they want somebody who’s really committed and there, and has a little depth behind the organization. Because when you put that transaction together, there’s usually a little bit of risk that you’ll take and put some deliverables at stake. Some risk for meeting certain deadlines or making certain deliverables happen, or achieving certain goals that you lay out in your contract. They’re going to want some meat around that when they contract with you. That’s usually not a good environment for an independent, sole practitioner to flow into. They’ll usually contract with the Huntzinger Management Group for a project that takes on and maybe requires six or seven resources to be deployed because you’re assuming full responsibility for accomplishing whatever it is they want you to accomplish. In that, you may bring in four employees and two subcontractors, but the Huntzinger Management Group is 100% at risk for doing that. The client is more willing to sign up with an organization who does that for a living, whereas an individual usually fills a staff aug spot. Or, if they’re a project manager, they’ll usually not take on a key leadership role as a project manager. They’ll be a project manager as part of a team. There might be seven or eight project managers onboard along with a project director that oversees everything. It’s very hard for an individual to take on full accountability and responsibility for a given thing because they don’t have total control of it. Do you think the cycle will ever end where consulting firms sell out to bigger companies, then bring back most of the people to form another consulting company? You know, everything has a life cycle, doesn’t it? What we’ve experienced in the 20-25 years that I’ve been running consulting or running businesses … I spent a good portion of my career at Computer Sciences Corporation and I ran their healthcare business for 14 years. When we started there it was $10 million, when we left there was close to $400 million, so it was a nice run. You saw Superior grow and prosper. You saw First Consulting and Healthlink or IMT Healthlink kind of grow and prosper, and then all get absorbed into these larger corporations. It’s interesting because a lot of the larger corporations create an environment that … they’re great companies, they’re great organizations, but for whatever the reason, it’s hard for certain consultants to grow and prosper in that environment. It is not the same $100 million or $150-$250 million company that they were working in before, where it’s a little bit more family-oriented, less bureaucratic. There’s not this big umbrella of policies, procedures, and regimentation that lays over the top of it. They’re accustomed to having a little bit more of a free-form environment. So these big organizations bottom and the next thing you know, it doesn’t work for a few very talented people. They spin off and go and start it over, as you see in the market today. I don’t know how many new starts are out there today. We’re one of them. There’s a lot of people that go at it from different angles, but there are a lot of companies under $30 million today that are forming again. They’ll go through their cycle where next year, a few of them will consolidate. The year after, a few more consolidate, and then maybe they’ll get bought by the bigger guys again, whoever is there at that time. You do business consulting for healthcare IT vendors. What kinds of trends are you seeing there? We do business consulting on two fronts. We serve the supply side of the market and for the most part, it’s 99% healthcare. And when I say the supply side, I’m talking about those organizations that sell solutions or services to healthcare providers or payers. They come in the form of software companies, IT outsourcing companies, business process outsourcing companies, and even various forms of consulting companies. There’s all different types of consulting companies. They all have a different set of needs than the provider side, so our strategy is a two-legged strategy. The first leg is selling to the supply side of the equation. I’ll talk about what we do there. The second leg is selling primarily to the provider side, the hospitals and health systems, and I’ll cover that in just a second. But on the supply side, what their needs are: they are businesses that are trying to grow in their own discipline. They’re attempting to serve a client base. They have all the needs that a business has, in that they have to have a good business strategy, good marketing strategy, a good positioning strategy. They need an operating model that is efficient and effective. What we do for those organizations is help them improve their shareholder value or the overall value that they bring to, if it’s a not-for-profit, whoever the organization is that they’re serving. We do business strategy, marketing strategy, operations analysis, and improvement work. We usually start out with various forms of assessments, whether it’s a business assessment or a functional assessment. We’ve done a number of those over the last couple of years for this. In fact, probably 50% of my client base today are suppliers to healthcare provider or payer sector. Our job is to help them become more effective and efficient in how they go at their particular market or niche. On the provider side, for the most part, we concentrate on IT. As I said, we’re an advisory and management services company; we’re not a staff augmentation business. We’re pretty high level in the IT organization. We do not have any barriers around size of organization, so we serve, I’ll say, not-for-profit organizations, $100 million not-for-profit hospitals to $2.5-billion large academic medical centers. We do everything from IT assessments, IT strategy, IT operations improvement work. We will take on the responsibility for running various functions within IT. We will also do, when I say take on the responsibility, also for projects. Everything from doing full selections or contract negotiation to overseeing the implementation of the solution we selected. I have readers who run small startups. What needs do those small companies have and what mistakes do they make? It’s rather interesting. There are a lot of software companies servicing the healthcare market today that are less than $10 million in revenue. They usually come out in the market with a solution. They’ve got a technology-based solution. They’ve got a couple of engineers that figured out how to build something that they’re taking to the market. There’s usually a need for it and they line up several customers. They start getting some traction, but they’re doing it in such a way that it’s kind of a shoestring approach to starting a business. They’re not necessarily capitalized very well. So they got going, they’ve got traction, and they did it not necessarily in the most optimum manner. Now it’s how do I take the solution set that I have today and really blow it out? If it has national market opportunity and maybe they’ve got a couple million dollars worth of business, they have five clients, and you take a look at that. You do an assessment of their business and you find out that wow, these folks have built a great solution. But what they lack is how to take that solution in a grand way and really get exponential growth, how to take them from $2 million to $15 million in an 18-month period. What we help them do is think through their business strategy, their marketing strategy. The marketing strategy includes how they effectively position themselves in the market, how they go after competition effectively, what’s the proper pricing strategy for their solution set. What’s the best way to increase the awareness and consideration of the buying population out there so that they get a fair hit rate and get that accelerated growth curve going? That’s what we do and that’s one of the biggest problems that I think are confronting these smaller companies. We help them think through that and we will actually develop the tactical plans necessary to take them from their current state to that future state. They want us to oversee it in either a mentoring role or take on the responsibility as a senior executive of their organization to see it through. We’ve done that numerous times and we’ll do it again. You’ve seen a lot of people and a lot of companies in the industry. What companies and people in healthcare IT do you admire? I have been in this industry a long time, since 1969. I worked for and spent a good number of years at Geisinger Medical Center and spent 14 years of my formative years at Geisinger. I have a tremendous amount of respect for that organization. I like their model. They’re modeled after Mayo, but they’ve kind of went beyond that and they have their own model today. There are some people there, I’m not going to name them all, but there’s some people I’ve learned an awful lot from and a few of them are still there. I really have a great deal of respect for that organization. When I did a long span, a 14-year span at CSC, Van Honeycutt, who was my boss for quite a few years , ended up being the CEO and chairman of the board there. I just learned a tremendous amount about how to run a business there and run it through thick and thin and have always been successful at running businesses in good and bad times. I attribute that an awful lot to not just Van, but a number of other executives that I had the opportunity to work with at Computer Sciences Corporation. Rich Helppie and myself worked real closely together at Superior. I think we learned a lot from each other and we learned how to basically take that business and get it turned around and repositioned and take it forward. Whether it’s Rich or a couple of the partners that I work with today, I have a tremendous amount of respect for, and that’s why they’re my partners today. They are what made Superior successful as we came out of the turn there and began building not only a consulting business, but a really nice IT outsourcing and recurring revenue stream that we later sold to ACS. I can go on and name a hundred people, but I always learn from the people around me and hopefully they learn a little bit from me. My goodness, I just want to say thanks for the opportunity to have this interview today. I greatly, greatly appreciate that. I just really and truly enjoy serving the healthcare sector. I’ve been in it all my life and I just thought it would be a lot of fun cranking an organization up on our own. We have four very good partners. I should probably take myself out of that category. I have three terrific partners, and we all have been there, done that kind of people. We’ve all run various businesses or parts of businesses and we’re very good at what we do and we’re all just having a ball doing this. One thing I’ve heard is that when IBM bought Healthlink, they instiuted a policy in which if you were on the bench for more than 30 days you were laid off. One of the few reason is makes sense to let a firm bill you out at 150/hr and pay you 50/hr (100k a year) is if the firm assumes the responsibility of paying you even when business is slow. It seems some of the bigger firms don’t realize how that sort of behavior undermines their sole reason for being. I’ve known George for almost 20 years. He is an expert in operations, business development and many more aspects of healthcare. I know him to be a person who cares deeply about his clients personally and professionaly. And this is why he and his team are great consultants!